Most of the time I don’t even think about the cleanliness of my kiddos’ toys. Caleb drives his trucks outside and then brings them in only to have Josiah chew on them. Josiah shares chew toys with all his little baby friends. I wipe something off if there’s visible dirt (sometimes) but, other than that I call it good. It looks as if I don’t know how to clean kid’s toys or something! Then, about once a year – usually in the spring – I realize how totally gross all the things in my house must be. I get all sorts of stressed out about the dirt and the grime and the germs that exist in the world. I realize that I NEED to be cleaning my boys’ toys and, in one fell swoop, I do just that! I pull out books off the bookshelf, toys out of the toy bin, bring play things in from outside and go through them one by one, sanitizing them and getting things back to clean! Even though it only lasts for a little while, it’s good knowing the things my boys are playing with are not covered in grime! I may be a weirdo but I love getting all the toys together and just making a huge pile of ALL THE THINGS (remember, we do keep things minimalistic in our home) and working through them one by one. 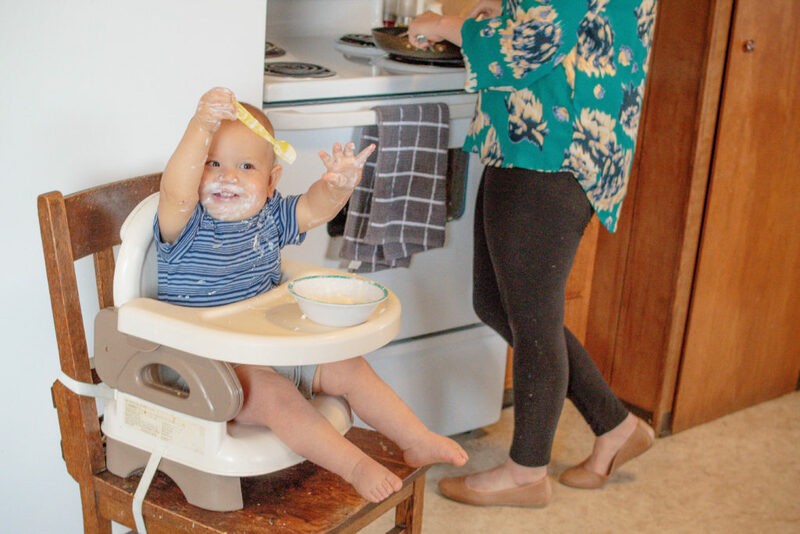 If the boys are home, I obviously let them keep a few toys out of the pile so they can play with them until I can trade them out with toys I have cleaned and then those toys go into the pile… But more often than not, I try to do it when they’re out and about with Nate. Before I spend the time cleaning, I check all the toys for tears/breaks/missing pieces and get rid of anything that is broken too far for repair. Anything that’s still good quality I think through if my boys play with it and, if they don’t, decide if it’s something I should get rid of. Once I know what I’m keeping, I get started! I like to start with the big toys and get them out of the cleaning pile first – that way it looks like the pile is shrinking by leaps and bounds. Let me live in my delusions, ok? I grab my disinfectant and scrub the heck out of those bad boys. As I finish the big toys I put them away. 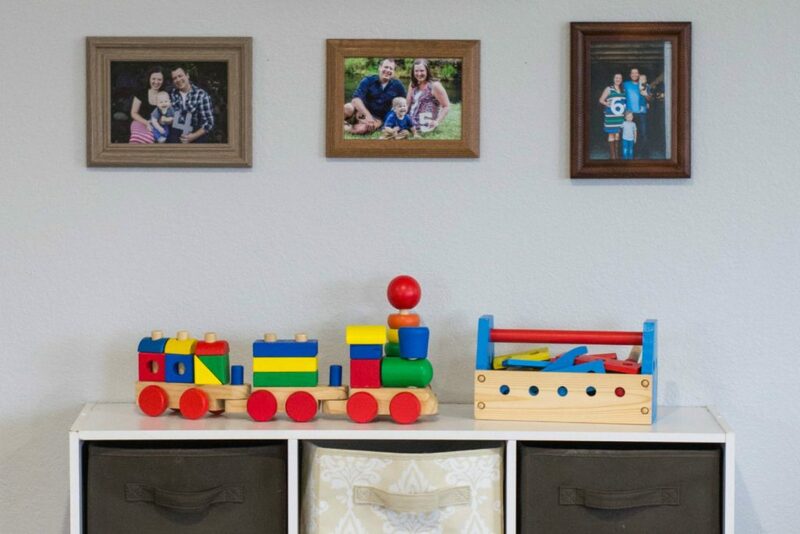 Everything has to have a place in my house so I make sure all my kids’ large toys have a place where they belong. 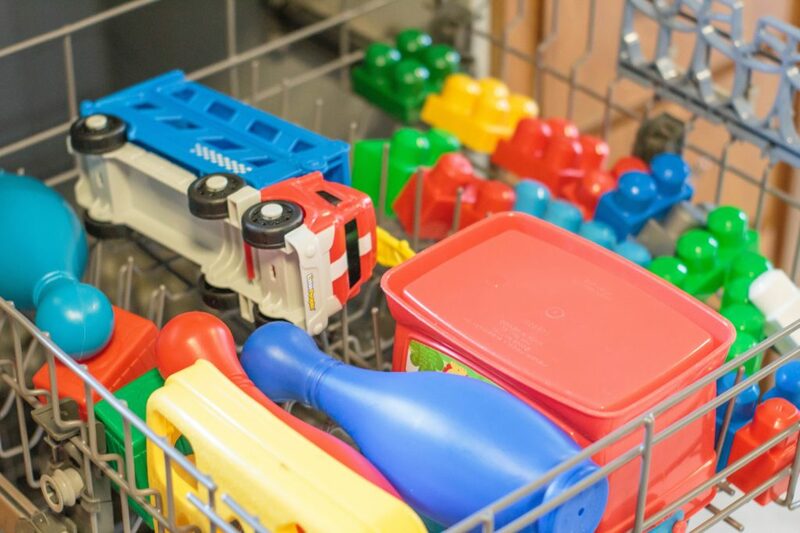 I move on to the small plastic toys – the ones that can go in the dishwasher! I load up the dishwasher with as many toys as I’m able – making sure to keep the thinner plastic and melt-able toys in the top rack so they don’t, you know, melt! 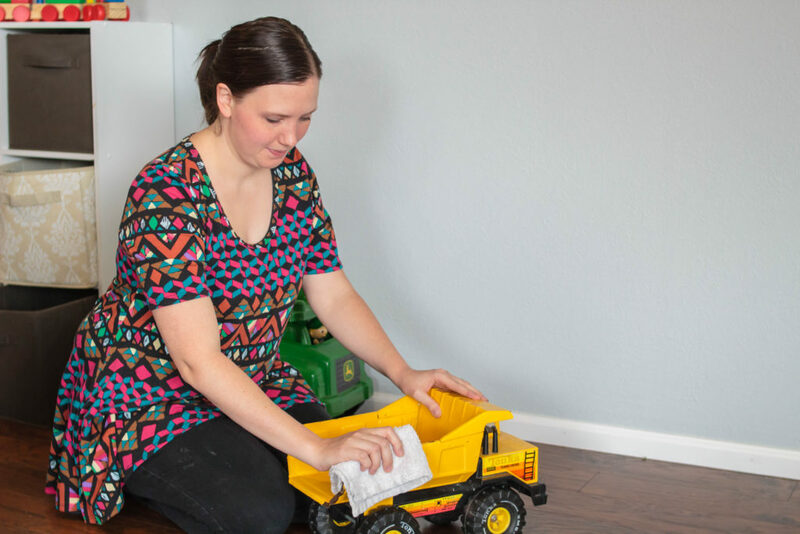 There typically are a few loads so, while each load is going, I move onto the next categories of toys – coming back and changing out the loads in the dishwasher as they finish. As the loads are running through the dishwasher, I scrub down the non-dishwasher-safe toys. These tend to have all sorts of nooks and crannies and I make sure to get them all! All the little toys are required to have places too (remember our toy cabinet?) so I put them away in their homes. I move onto stuffed animals and simply throw them into the washing machine. I put them on the delicate cycle and call it good! Some of the animals can be thrown in the dryer and some can’t so I make sure to check which is which before starting that up. Lastly I move onto the games and books. 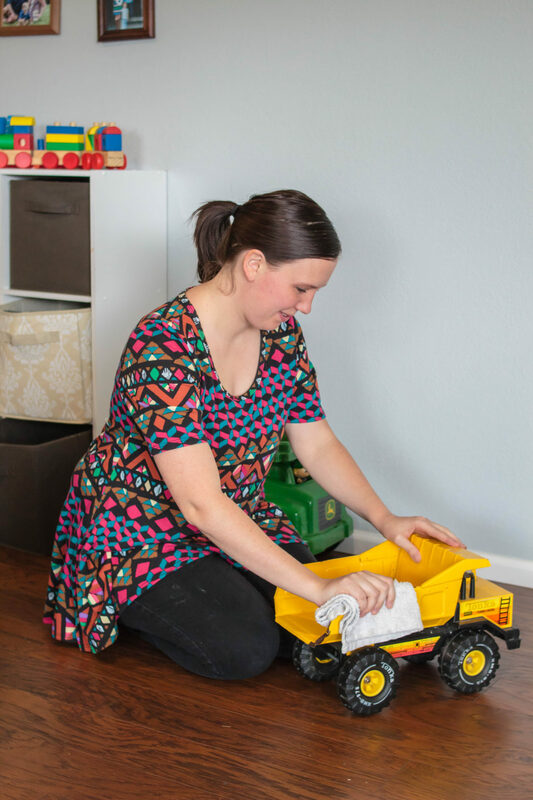 Anything cardboard or plastic (like game boards and board books) gets a light scrub down – just enough to lightly wet them, not enough to permeate and soak in. I wipe down the covers of the other books and cringe over the fact that I can’t really do anything for those pages. 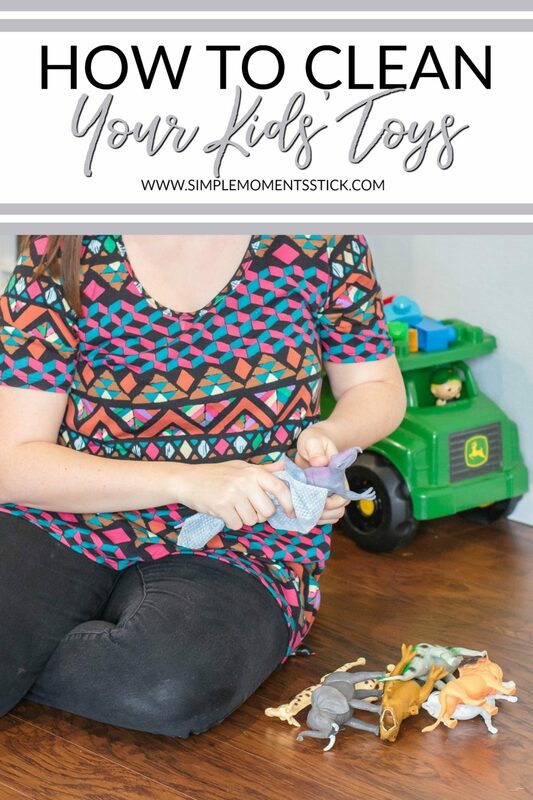 It doesn’t take all that long to go through this whole process and it makes me feel so much better knowing all the toys are clean and ready to be handled by my crazy boys. 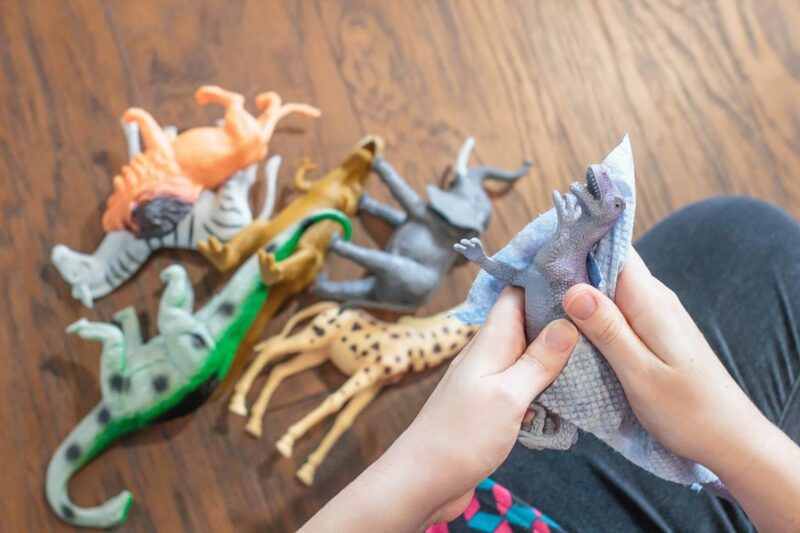 How often do you deep clean your kids’ toys? 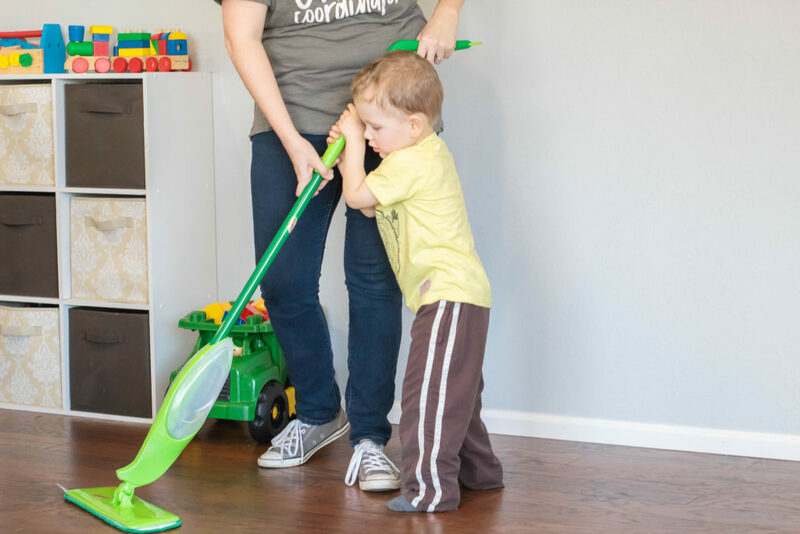 What area of your house should you clean more often?